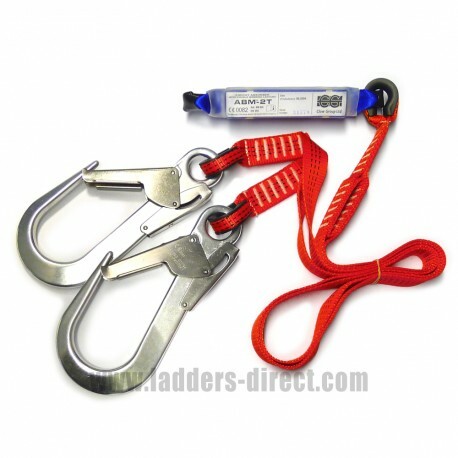 Energy Absorber with double webbing strap supplied complete with a large snap hook suitable for affixing to anchor points. Energy Absorber with double webbing strap supplied complete with a large snap hook suitable for affixing to anchor points. Certified to European Standards EN354, EN355, EN362.